This week carried a true dilemma. The book I should have chosen was the last issue of “Hawkeye” but just trust me when I say it is amazing and will make you cry big, wailing, baby tears. But instead, the book I chose this week is a book named after a crossover I openly despise and rant against: “Siege” #1. True, the event from 2010 was one of the worst executed, clearly rushed, uninspired debacles Marvel has done in recent history but this book actually has some good points going for it. First off Kieron Gillen is an amazing writer and is a pro at making any team of people mesh in fun ways for the reader. Second, the art looks absolutely spectacular, some of the double page spreads have so much depth that James Cameron is financing trips to explore them as we speak. Third, the story actually sounds like an interesting angle and I want to see more. 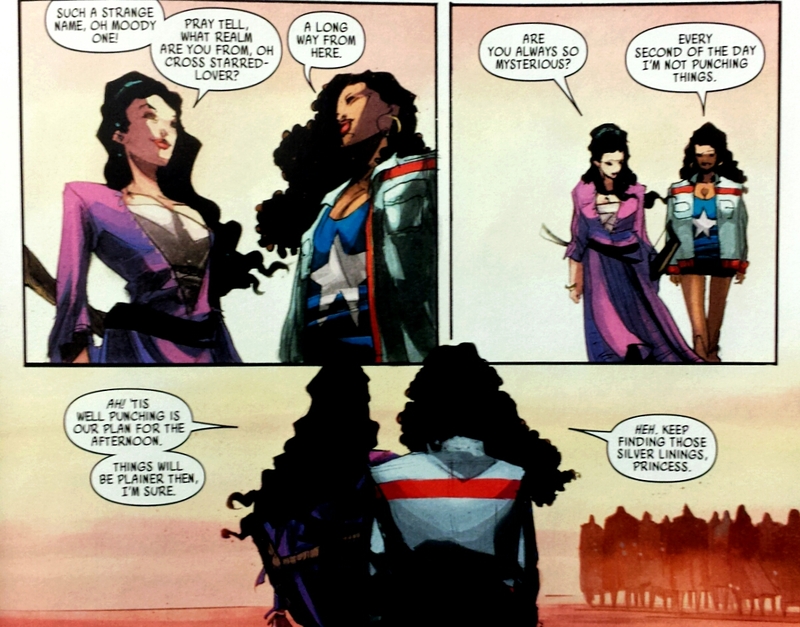 All of Battleworld has its strife. After all, Doom may be God but even God can’t stop people from punching each other. True, not a particularly eloquent altruism, but all of the individual regions he created have their own violent conflicts and none so much as the Southern regions. While the North is home to politically unstable nation states, the South is home to killer robots, hungry zombies, and monsters unfit for anything besides a child’s nightmare. And here is where we find the Shield, a gargantuan concrete wall built to fortify civilization from the hordes of monsters seeking to get in. So far this place seems like a groovy place, right? It gets better. The Shield is populated exclusively by traitors and criminals exiled from their communities because life on that wall is essentially a death sentence. And that’s where Abigail Brand comes in. 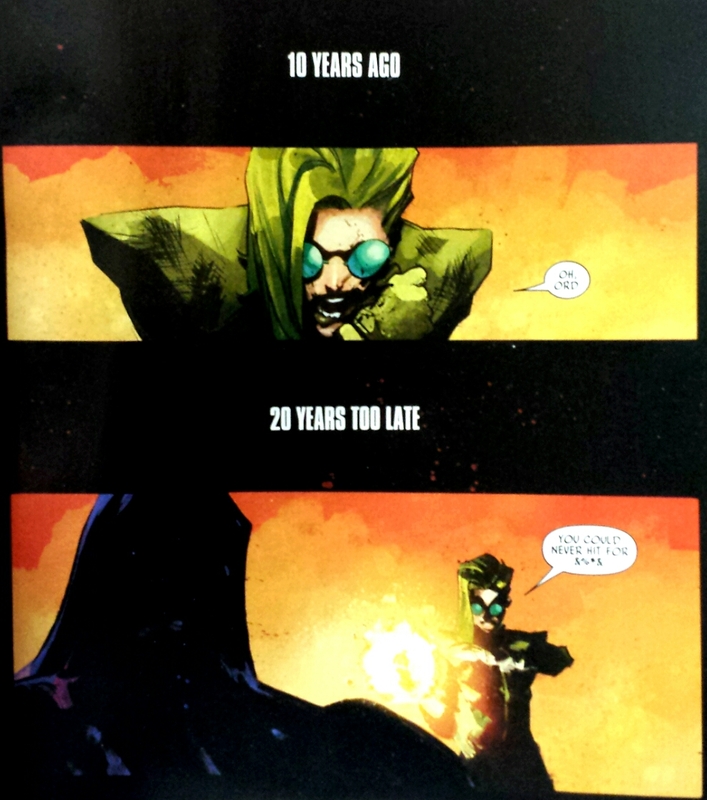 The story is good though a bit jumbled since there’s technically a handful of time jumps. It’s nothing too hard to follow, in fact it’s quite enjoyable because the creative team uses a different art style every time there’s a jump to the past so there’s some fun play with the art work. One thing that really caught my attention was Kang. 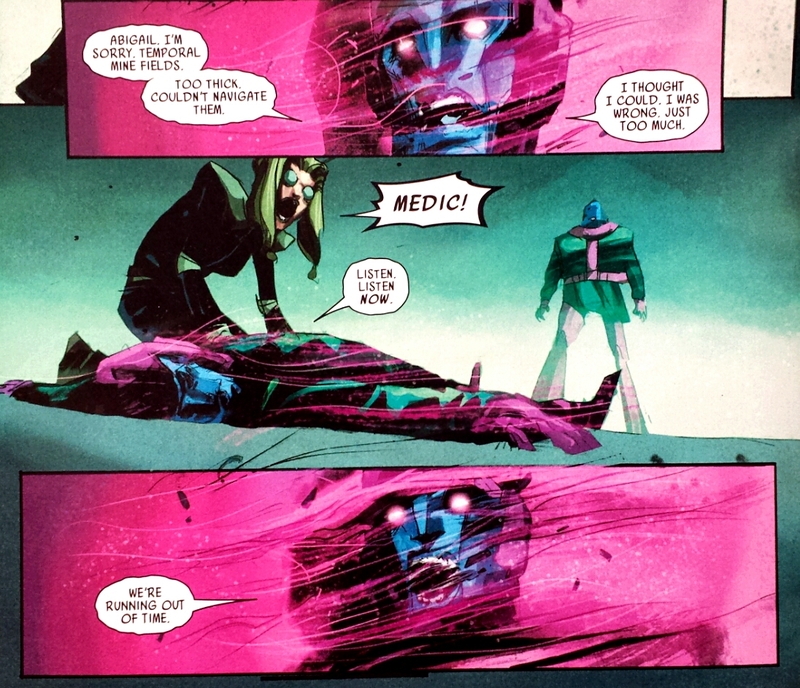 Not just that he’s a member of the team but—oh, spoiler… he comes back from the future with a dire warning for Abigail, the wall will fail in twenty days. Holy crap! That is a hell of an omen of doom and gloom! It puts a ton of dramatic tension on this book, a countdown to the end of days. The reader has already seen that the wall is holding back to forces of darkness by the slimmest of margins and now we know that in twenty days that won’t be enough. Abigail makes sure to note at the beginning of the book that every resource they have available to them they are using, there’s nothing in reserve. How the Hell can you fight back against the end? So it’s down to a ragtag group of nobodies to defeat the massive force of evil that is nigh unstoppable? Sounds like they could use someone a little… Invincible? After all, Mark already put together a force of misfits to fight back an unstoppable evil. Remember when he fought the Viltrumites? He got the weirdest people in the known galaxy to stop basically an army of Supermen. There was Allen the Alien, the guy on the rocket bike with the magic bullets—oh yeah, Battle Beast. Remember Battle Beast? Just an anthropomorphic white tiger with an axe who wanted to fight God himself! And there was a whole bunch of other misfits there as well but they all had this commonality, that this was their last ditch effort and it wasn’t even that good. The fate of the universe down to a bunch of weird space freaks. No plan B. No consolation prize. Do or die. Tense stuff, right? Let’s see if “Siege” can do the same. 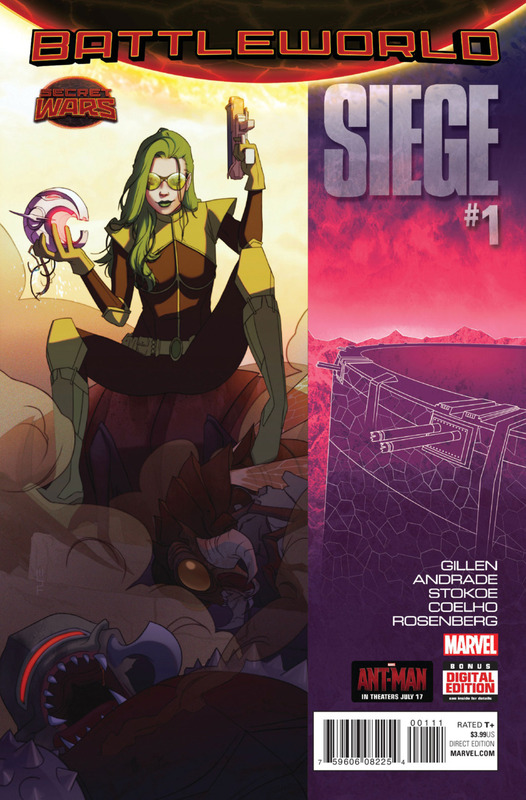 It was a good book so I give “Siege” #1 a 84% Invincible but eagerly await where this series will go.